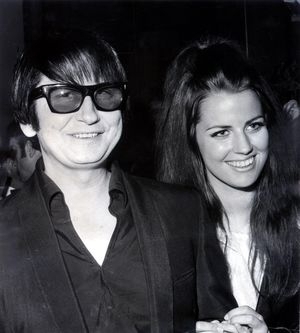 Roy Orbison. . Wallpaper and background images in the Rock'n'Roll Remembered club tagged: 50s music 1950s singer rock'n'roll photo roy orbison. This Rock'n'Roll Remembered photo might contain धूप का चश्मा, काला चश्मा, रंगों, काले चश्मा, रंग, बिजनेस सूट, अच्छी तरह से तैयार व्यक्ति, सूट, पैंट सूट, pantsuit, पैंट्सट, and अच्छी तरह से कपड़े पहने व्यक्ति.